"Four Stars ... (the highlight) is undoubtedly the violin playing of Augustin Hadelich ... warm recording ... again Ludovic Morlot draws excellent playing from the orchestra ..."
"Editor's Choice ... (Morlot) opts for a woolier and more pliant (for which don't read softcore) mode of attack. Intuition tells me that Dutilleux would have gravitated towards (this) approach ... veins of orchestra perspective are opened up ... Morlot evokes the thrill of ears discovering orchestral vistas and architecture in the moment." 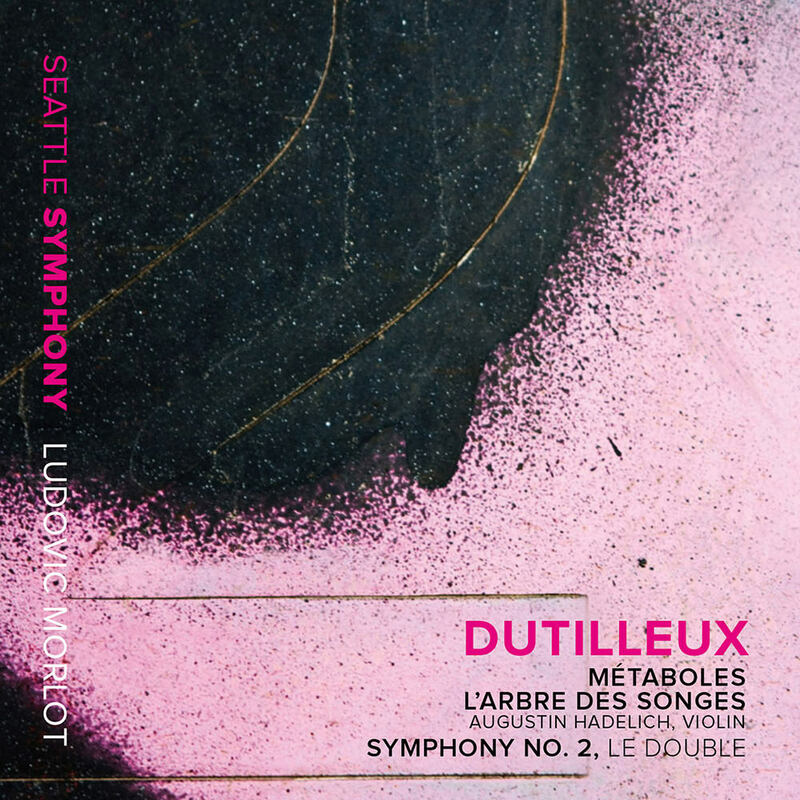 Ludovic Morlot and the Seattle Symphony Orchestra present this Grammy-winning second volume of orchestral works by Henri Dutilleux, part of a three album, multi-year recording project. The first installment was praised by the international music press and earned three Grammy nominations, as did this release. Morlot and the orchestra continue their distinctive survey of the French composer’s orchestral output, featuring a studio recording of the violin concerto L’arbre des songes with violinist Augustin Hadelich as well as electrifying live performances of the Symphony No. 2 and Métaboles. "The orchestra has been on a journey through Dutilleux’s music ... and in my view has developed a very intrinsic understanding of this incredible body of work ... I think Dutilleux would have taken great pride in the fact that his music is being played so often in Seattle and with such dedication." Recorded in the S. Mark Taper Foundation Auditorium, Benaroya Hall, Seattle, Washington. Métaboles was recorded live in concert on September 25, 27 and 28, 2014. L’arbre des songes was recorded on November 4 and 7, 2014. Symphony No. 2, Le double was recorded live in concert on June 5 and 7, 2014.